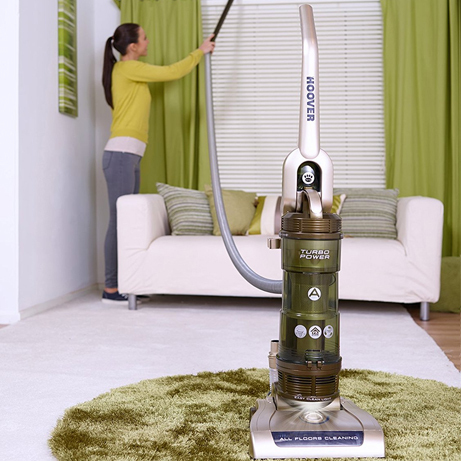 With multi-cyclonic, no loss of suction technology, the Turbo Power vacuum has the benefit of better cleaning reach. Boasting a total reach of 17 m, a 3L bin, Pet brush, wood and laminate tool and a cleaning light. With a top class A energy rating, Turbo Power is designed with money saving efficient motors for better dust pickup. With multi-cyclonic no loss of suction dust separation technology, Turbo Power has the extra benefit of exceptional cleaning reach. 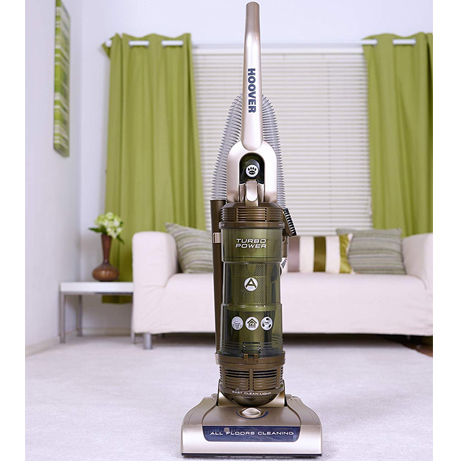 This vacuum boasts a total reach of up to 17m, a supersize bin and a Pets Turbo Brush. 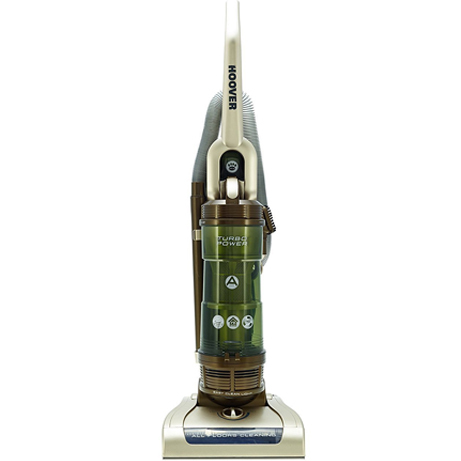 With a top class A Energy rating, Turbo Power combines efficient motors with excellent dust pickup. With multi-cyclonic no loss of suction dust separation technology, Turbo Power is a high performance vacuum for quick constant pick-up and minimal filter cleaning. The one touch bin empty and large 3 L bin capacity are also great features. Using Hoover high efficiency motors and advanced Airflow Technology, Turbo Power has been independently tested to provide excellent performance whilst also saving energy. The Turbo Power has been engineered in line with the EU’s Eco-design and Energy Labelling regulations for vacuum cleaners, introduced from September 2014. Information about its energy efficiency can be found within the energy label. What’s the energy label for? From September 2014 all new vacuum cleaners must comply with EU Eco-design and Energy Labelling regulations that dictate how they are designed and labelled. The most visible part of the legislation is the energy label, which will be displayed with every new vacuum cleaner. The purpose of the label is to help you judge how energy efficient the vacuum cleaner is and assess its potential energy costs when compared to other models on the market. It displays information about the vacuum cleaner’s energy efficiency, noise levels, pick-up performance and filtration.